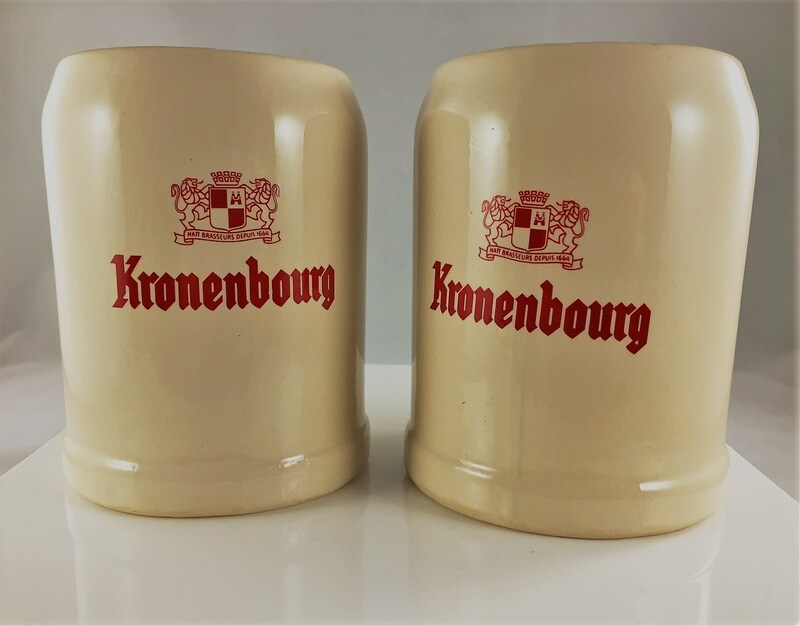 Featured is a pair of vintage ceramic beer steins from the Kronenbourg brewery of Strasbourg, France. 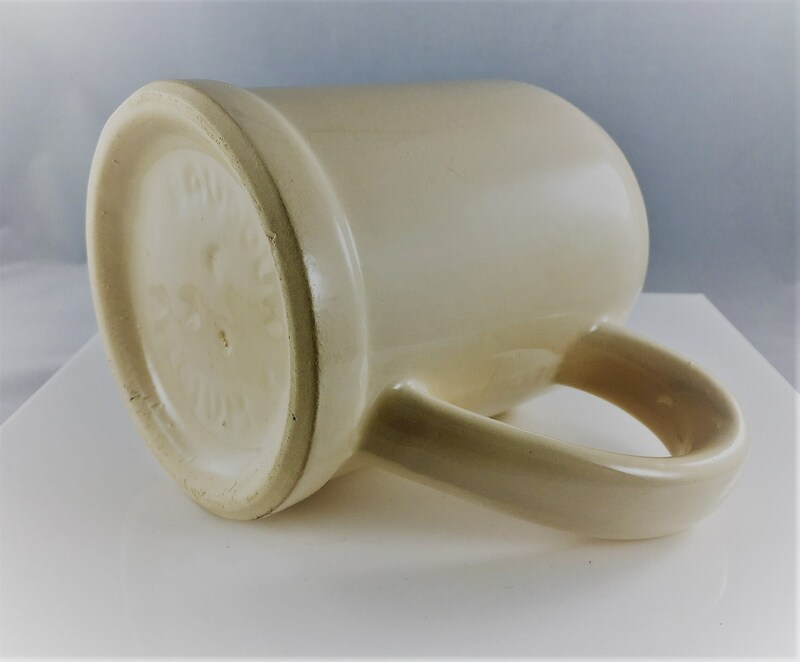 These classic mugs are 4 3/4 inches tall and 3 3/4 inches wide at the base. The hold about 1/3 of a liter of your favorite adult beverage. 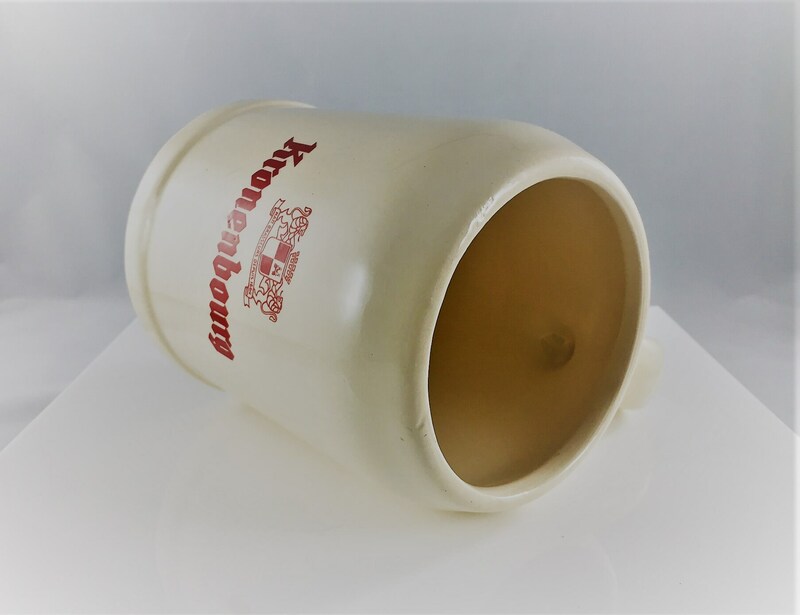 These pieces were made in Belgium and are stamped as such on the bottom of each stein. 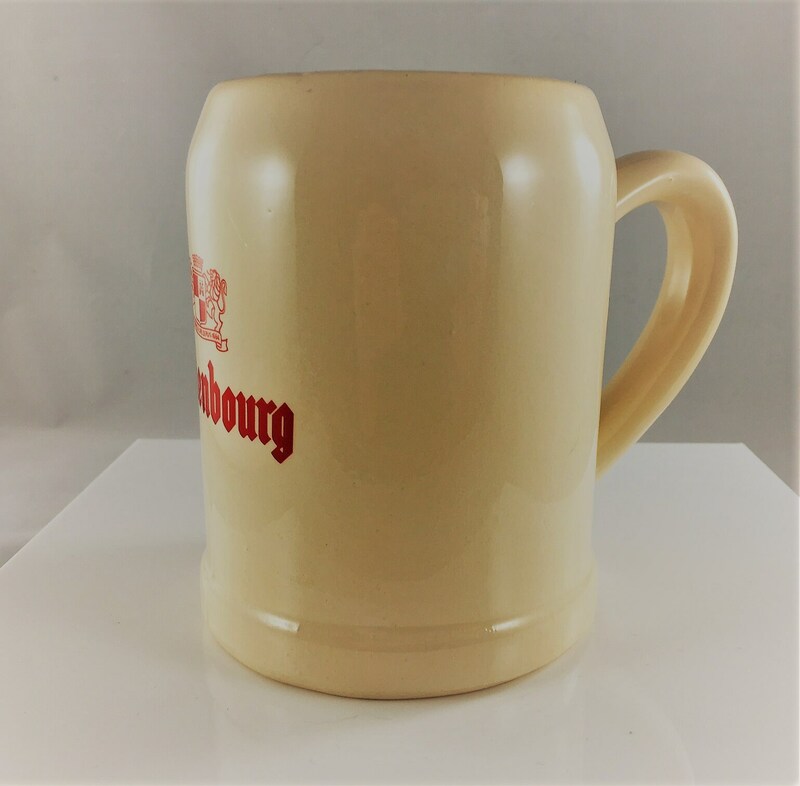 Both mugs for one low price.